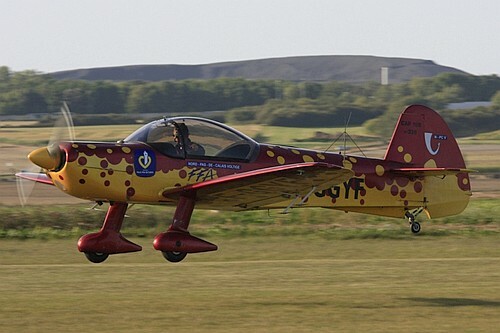 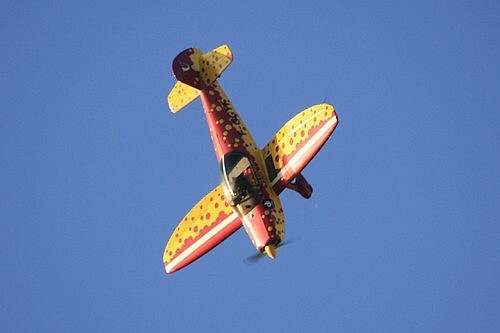 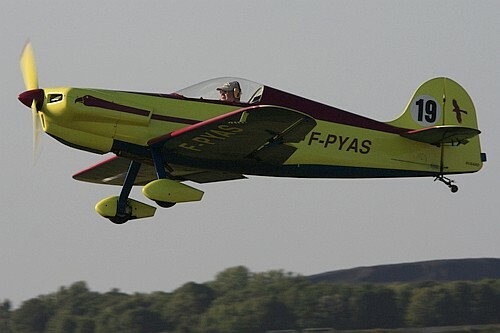 SBAP team was present at Lens on Saturday (Luc Dujardin) to see the rehearsals and on Sunday (Antony Graulus) to see this beautiful and sympathetic airshow. 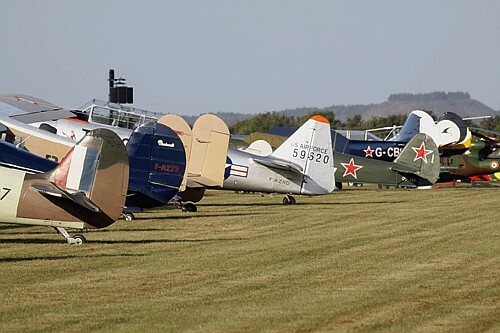 The Lens airfield is perfectly oriented to take beautiful pictures, because the sun shines from behind the photographers to the display line. 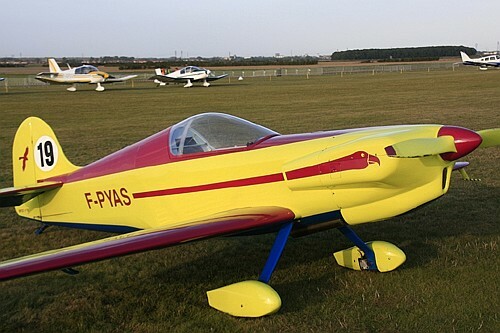 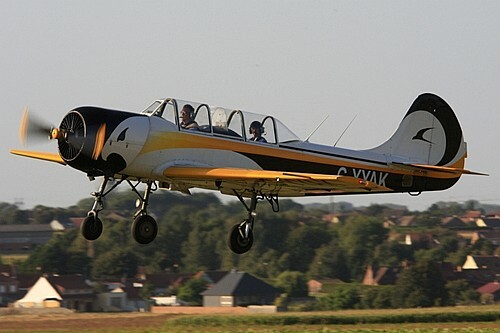 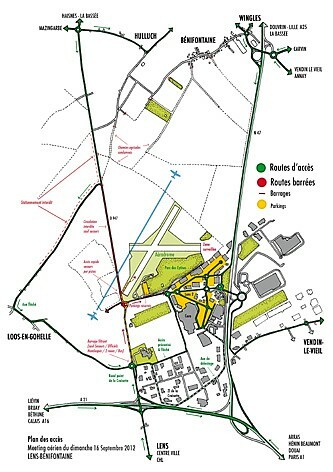 Lens is located in Nord-Pas-de-Calais, in the northern of France and this town has its own airfield at Benifontaine. 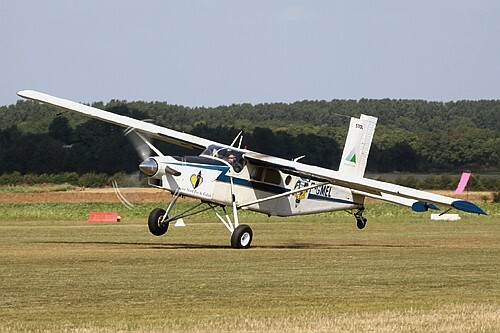 It has two crossing grass runways. 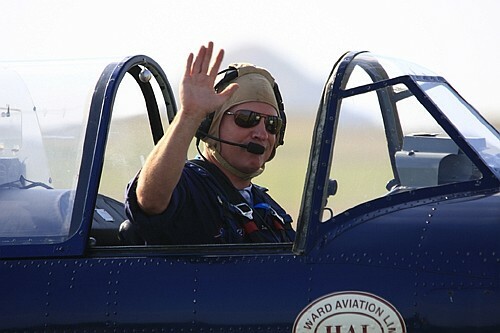 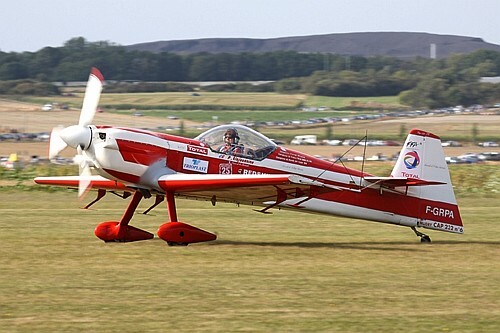 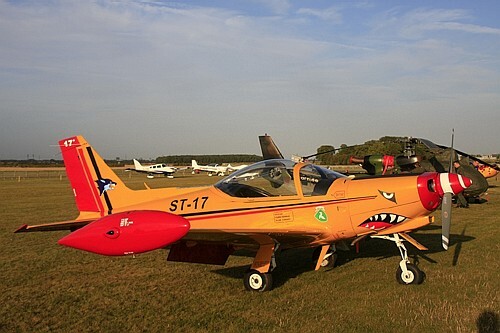 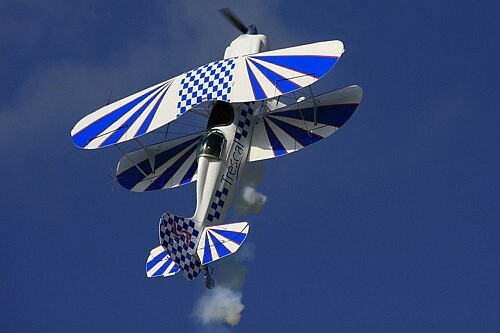 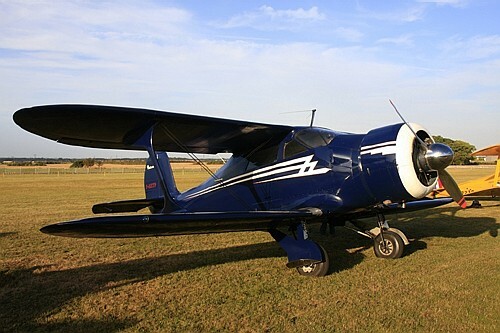 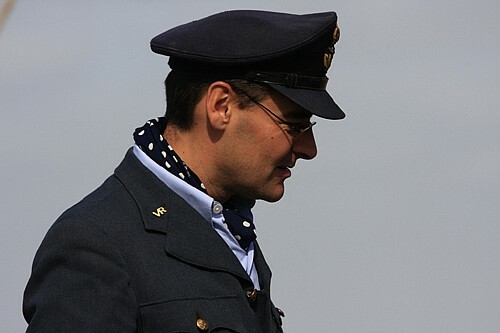 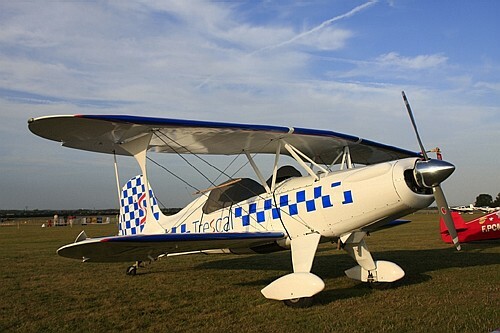 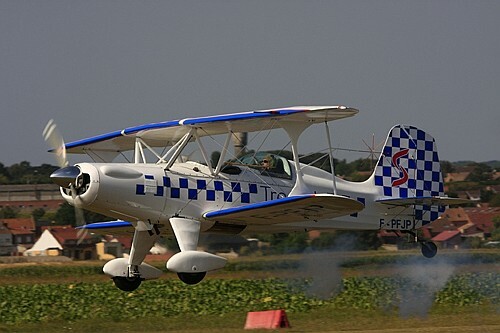 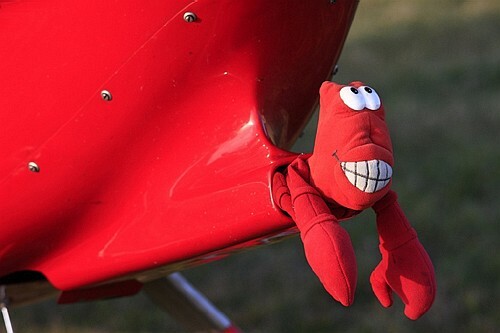 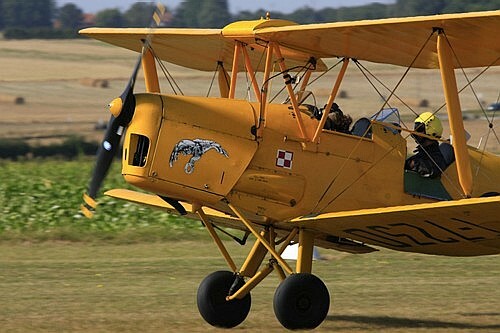 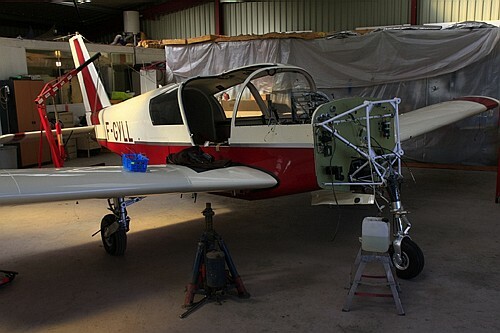 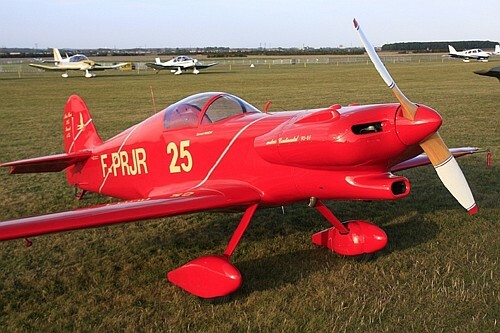 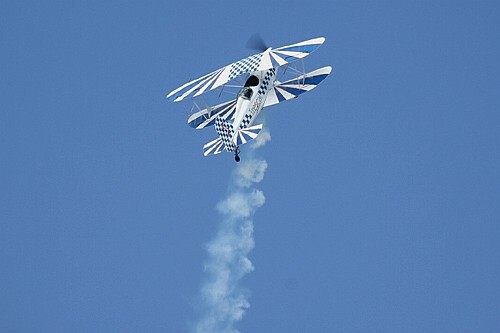 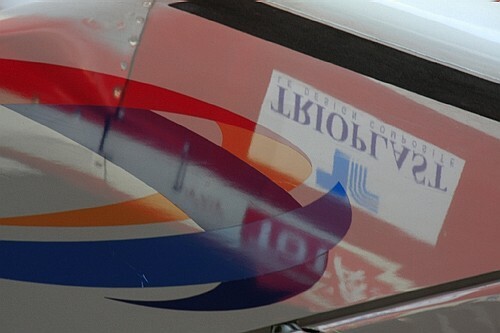 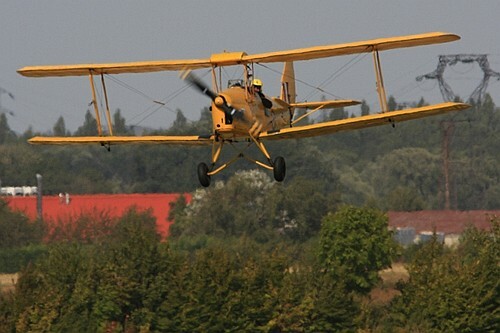 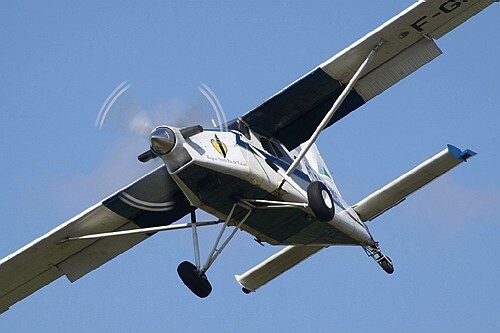 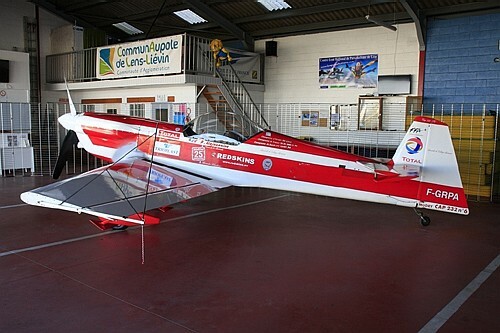 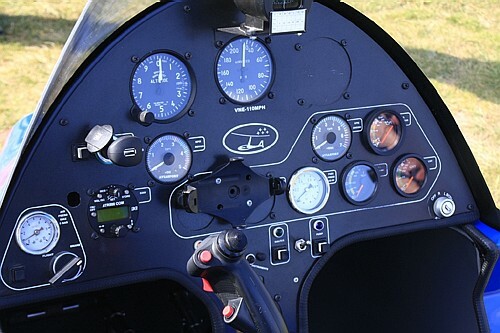 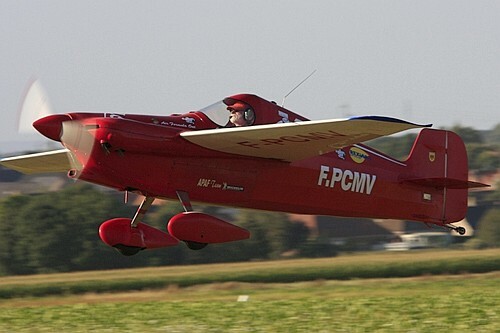 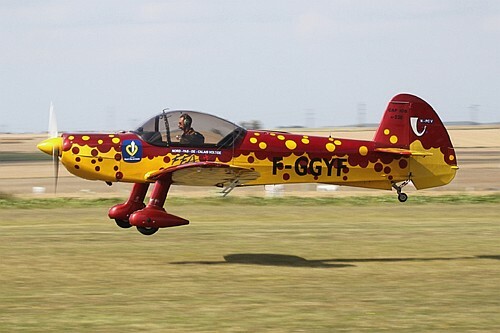 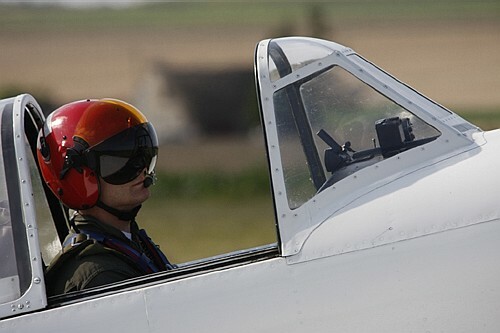 There is a dynamic aero club, a parachutist school and, since 2007, an enthusiastic airshows. 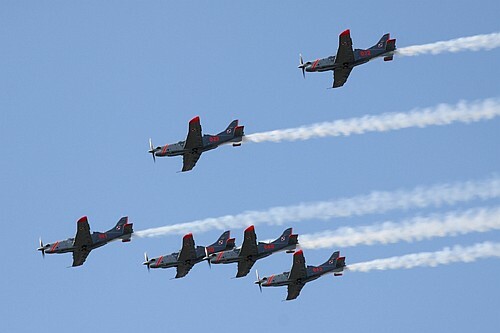 The shows are not organized every year (the last one was scheduled in 2010) but each time the show is very attractive. 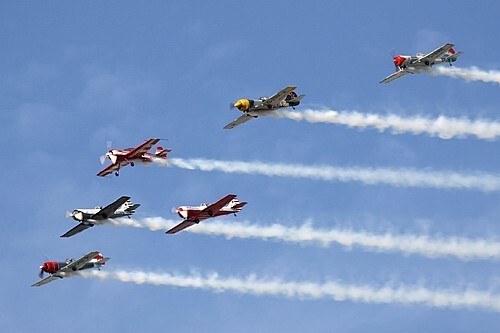 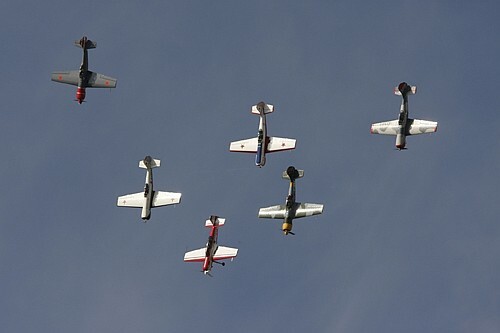 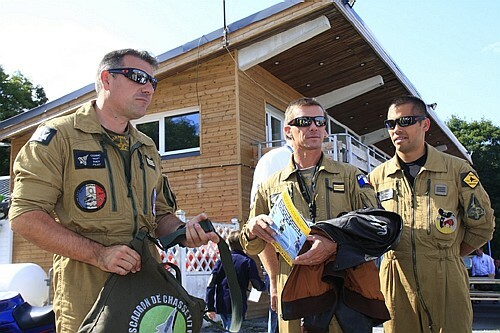 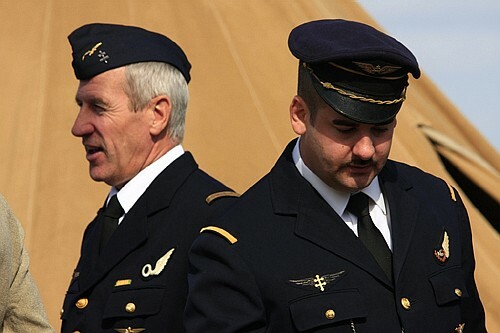 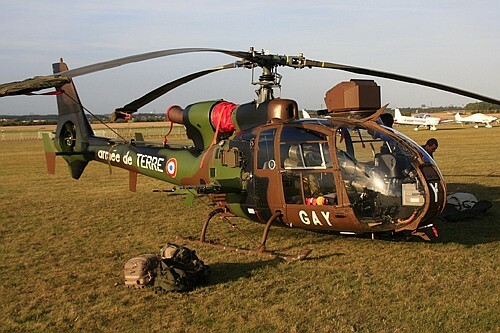 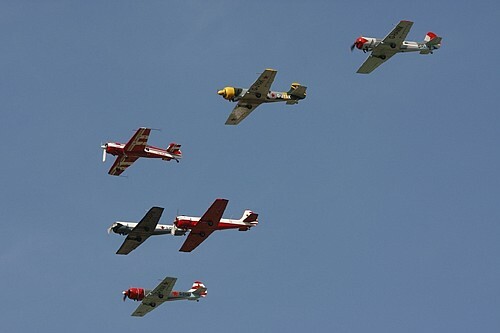 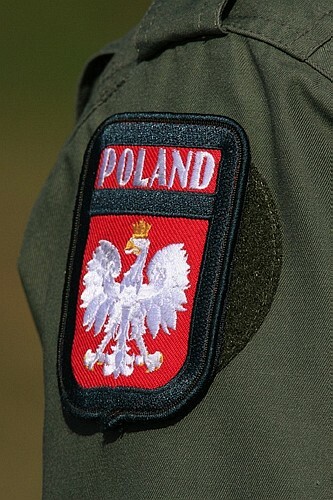 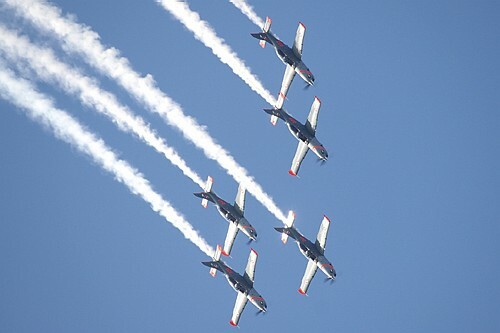 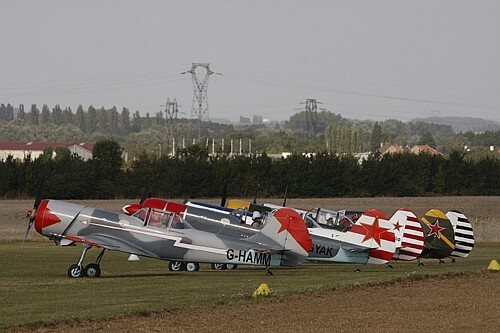 This year, the 2012 airshow took place on Sunday September 16 with the French-Polish friendship as main theme. 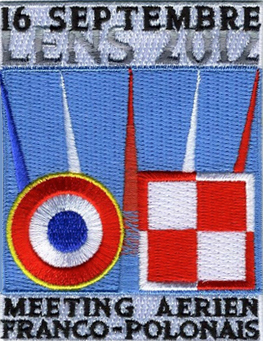 A war time veteran, Jerzy Glowczewski, was invited as a guest of honor. 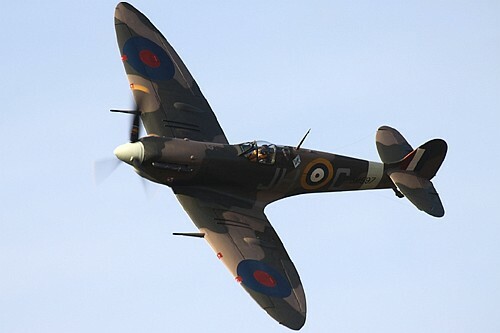 He was born in Warsaw in 1922 and entered the Royal Air Force as a volunteer in 1942. 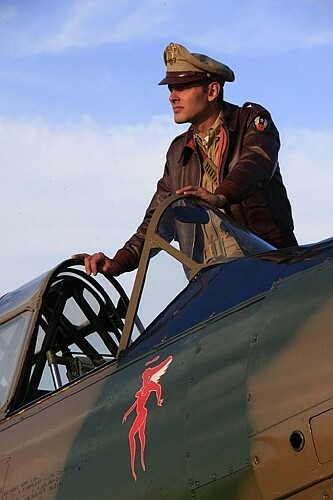 He served in France in September 1944 when he was fighter pilot in the 308 Squadron “Krakowski”. 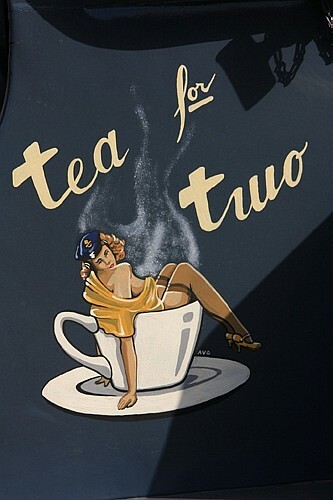 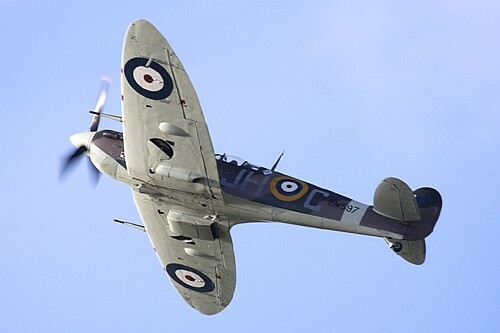 He also served with 317 Squadron. 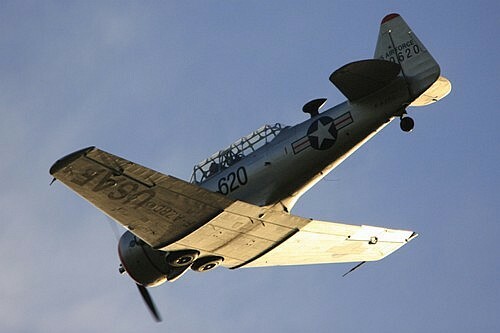 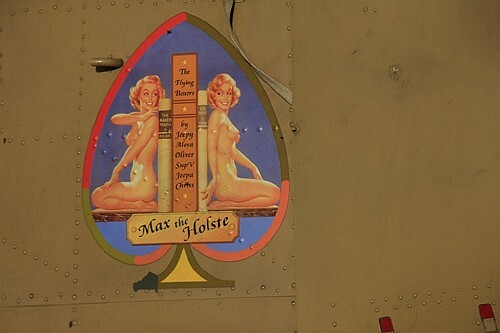 During the war, he flew about 100 missions and was then demobilized in 1946. 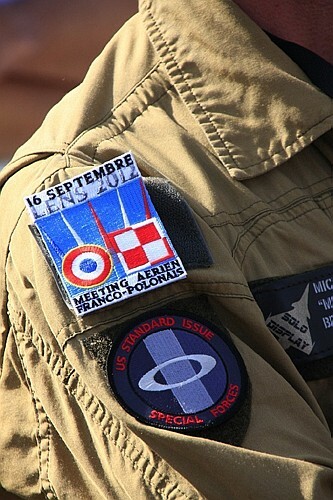 His presence in Lens is one of the highlights of the event. 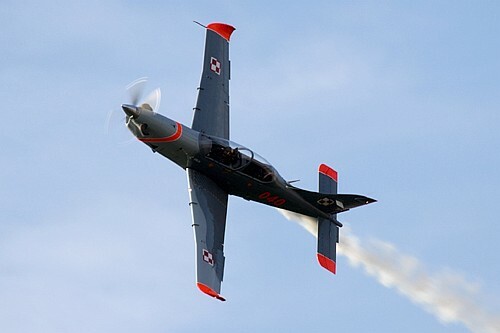 But he’s not the only highlight, because of the presence of the wonderful Polish military aerobatic patrol Orlik that was not often seen. 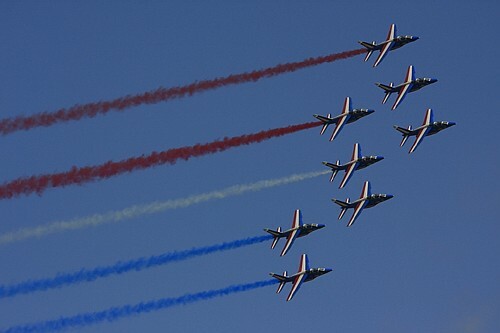 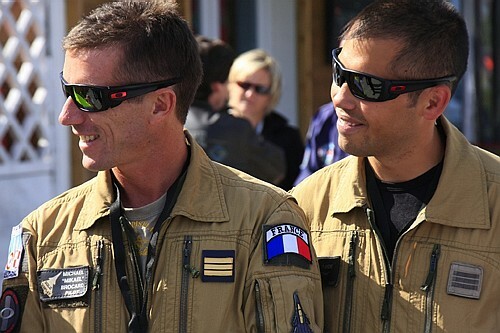 The Patrouille de France was not scheduled on Sunday, but a fly-by the city of Lens was planned on Saturday. 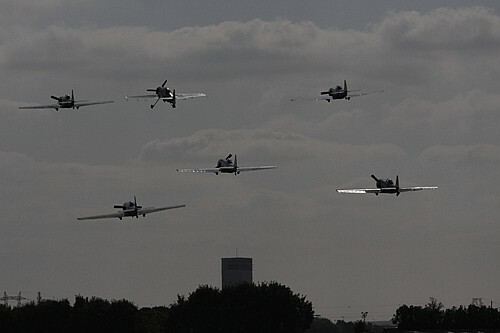 Another patrol, the Aerostars had also performed an impressive demonstration. 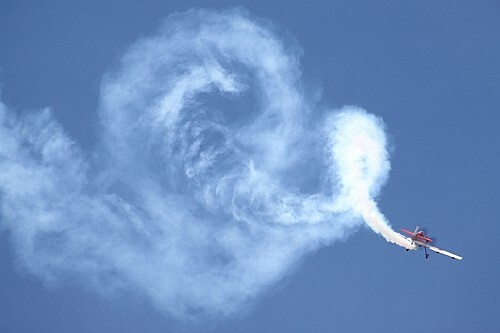 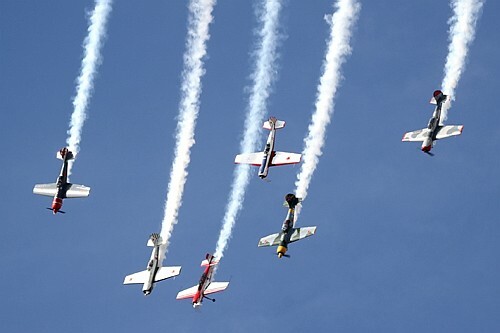 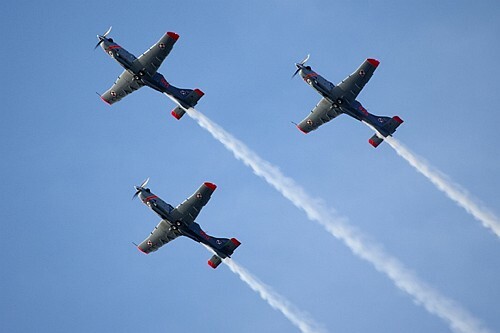 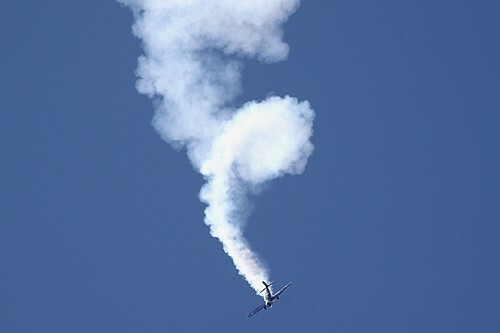 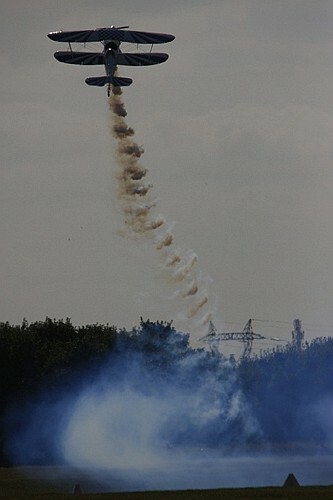 Unfortunately, the Breitling Jet Team has to cancel his participation because of the crash of one of its Aero L-39 Albatros that occurred on Saturday evening at Valkenswaard (NL) when the patrol was coming back from Den Helder (NL) where it displayed his show. 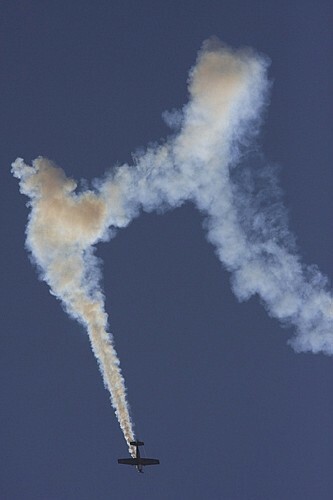 Both crew members ejected successfully, but the plane was destroyed. 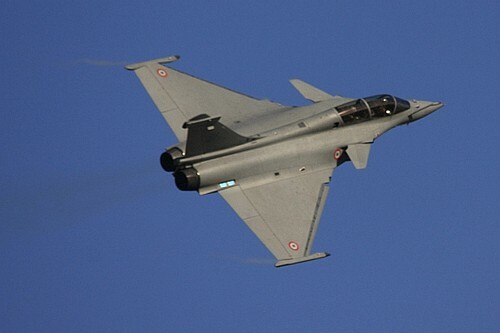 The Rafale solo display of the French Air Force came from EC 01.007 of Saint-Dizier and made a powerful display as usual. 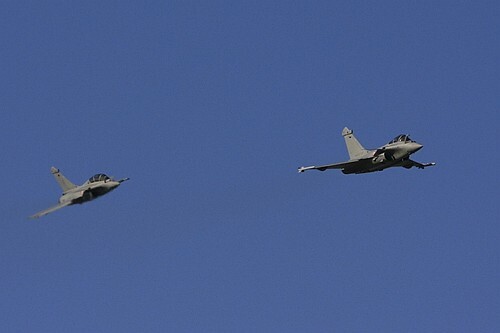 On Saturday morning, two Rafales came to make some fly-by above the field. 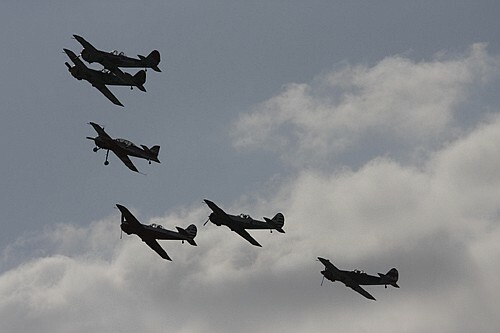 Actually they flew in the demonstration airspace to get the visual landmarks for the show. 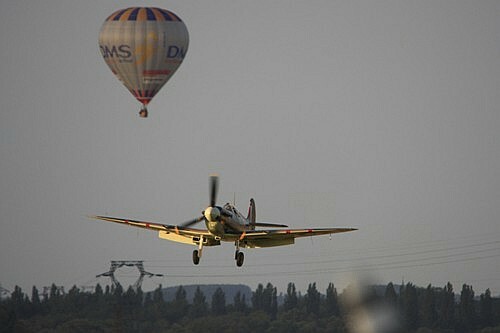 This two ship ballet was a very nice sight in the morning light. 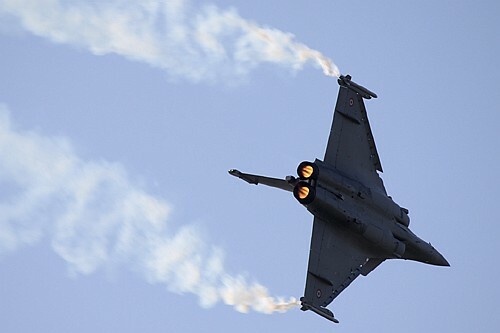 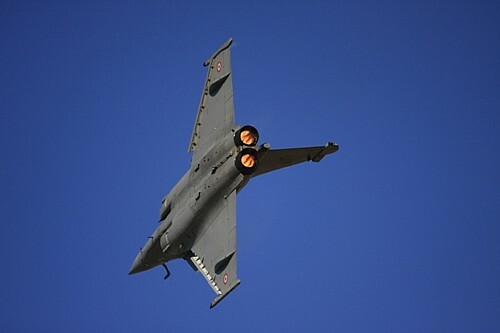 Later in the afternoon, the single seated Rafale came back to proceed to his rehearsal and during this flight the aircraft suffered the same afterburner failure than in La Ferté-Alais meeting. 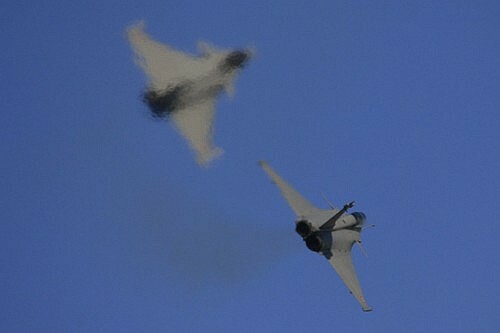 But the mechanics have solved the problem and the show has been beautifully displayed on Sunday. 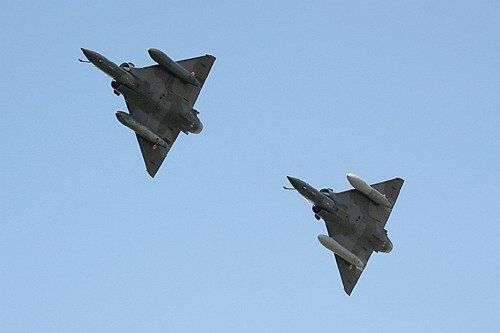 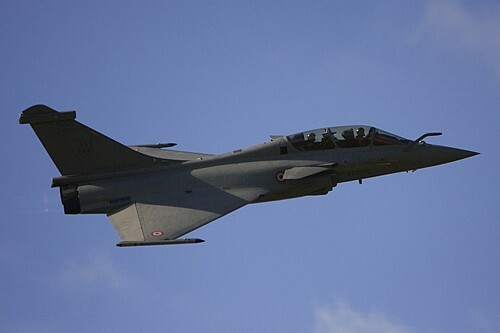 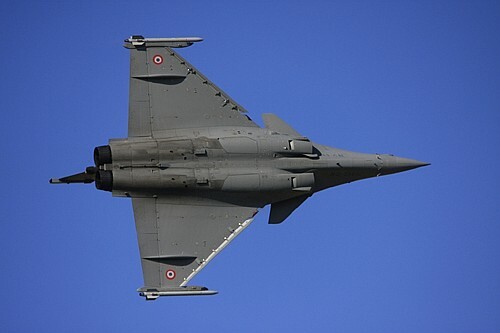 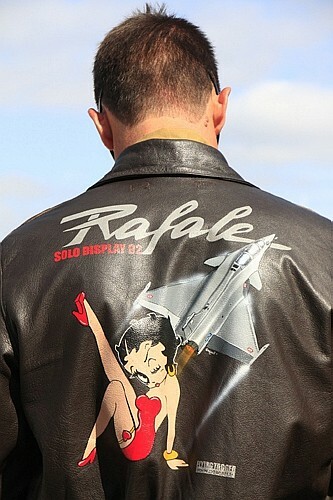 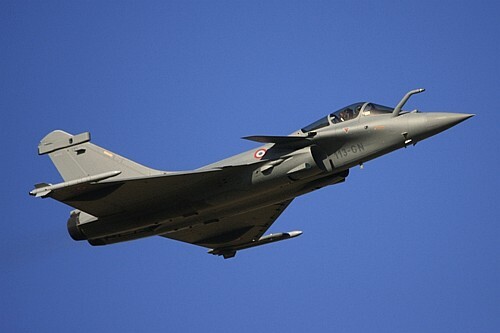 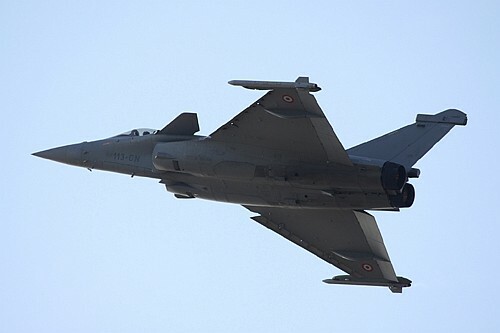 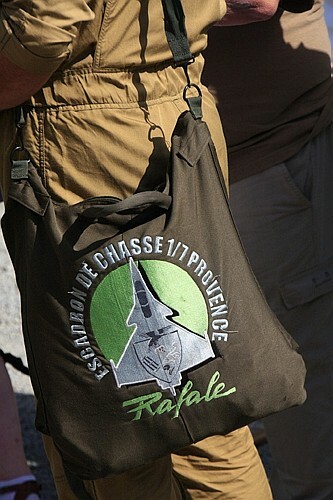 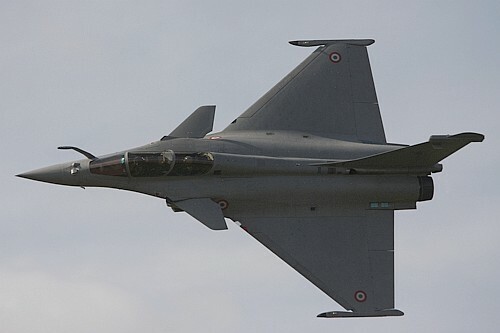 Both Rafales were based at Lille-Lesquin airport for the week-end. 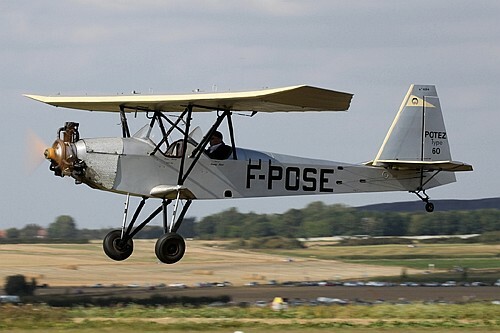 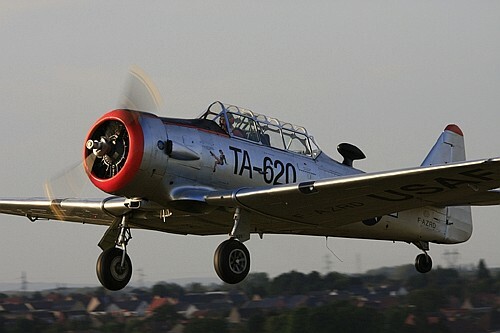 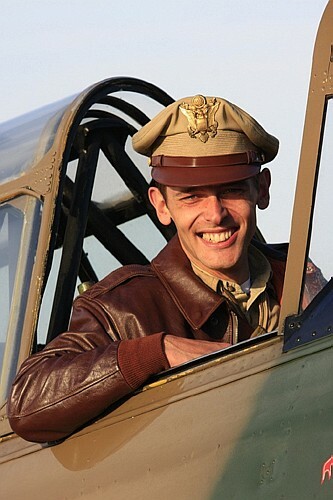 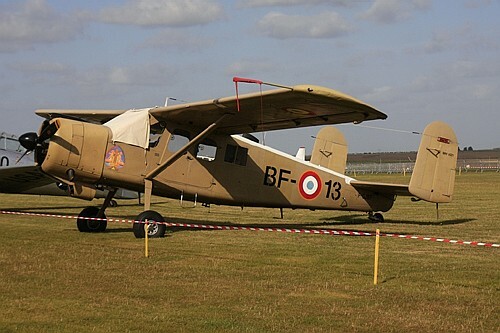 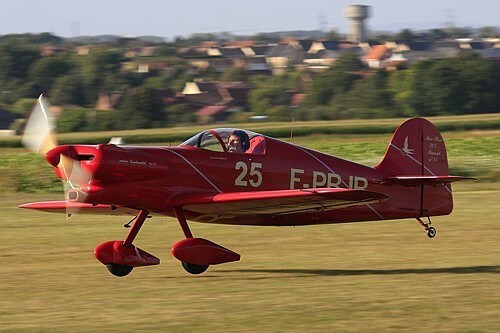 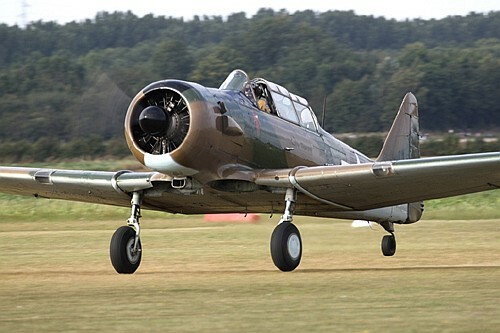 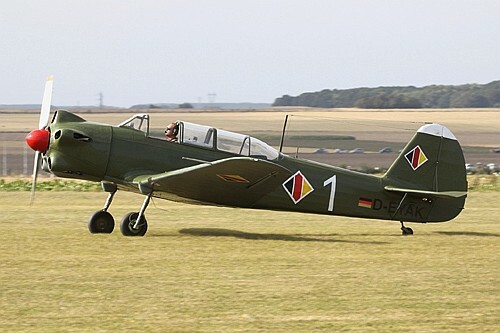 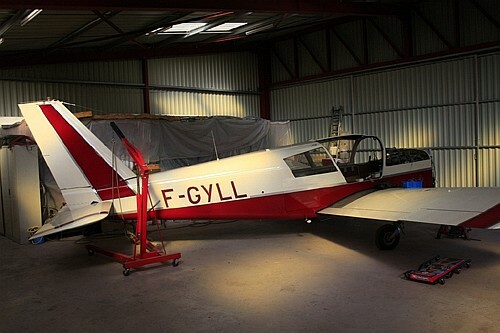 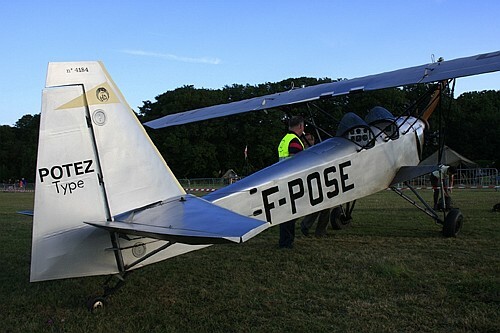 Lens-Benifontaine airfield is hosting a wonderful authentic Potez 60 that encounters some starting problems on Saturday. 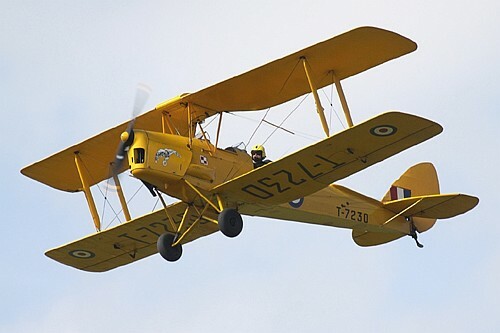 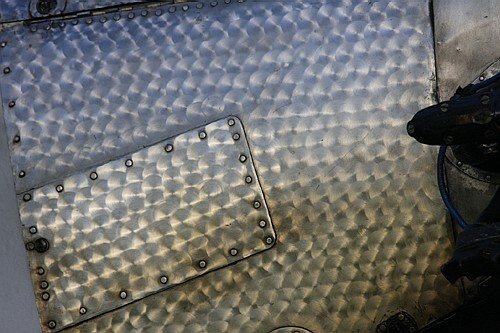 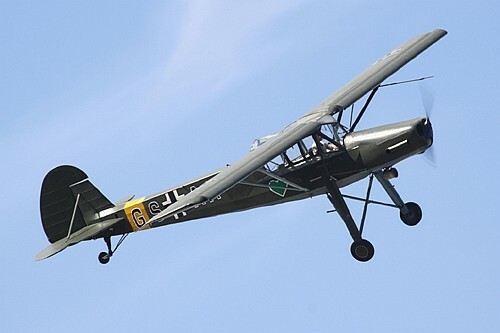 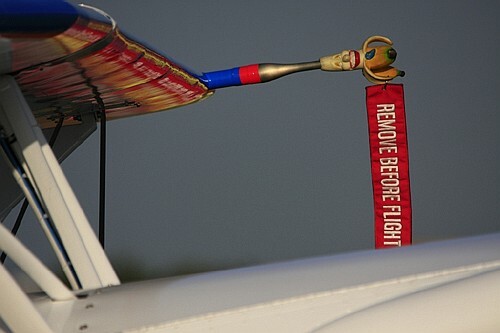 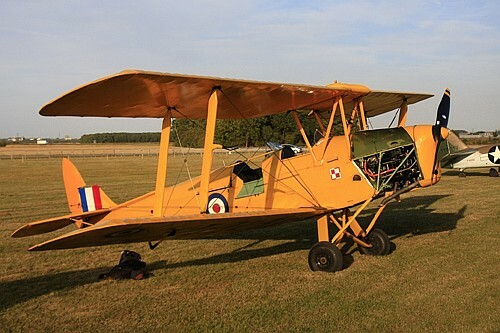 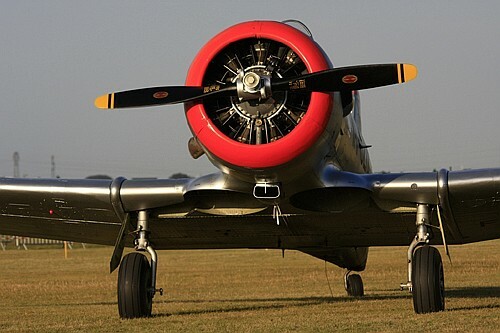 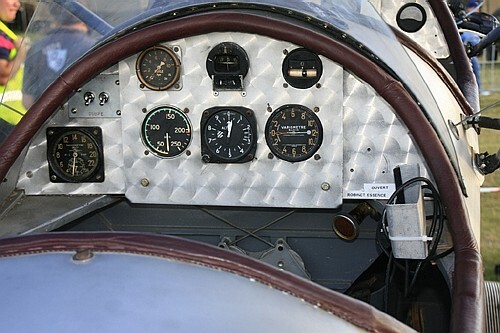 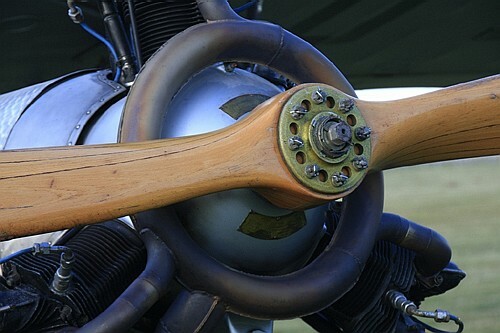 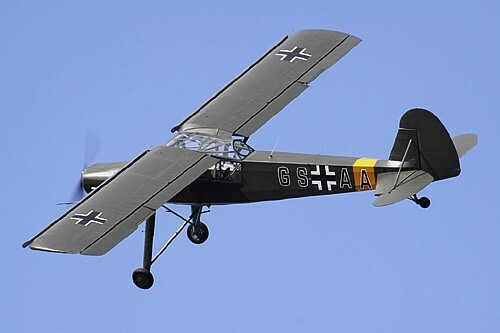 But it must be noticed that this 1930 aircraft still flies with its original motor. 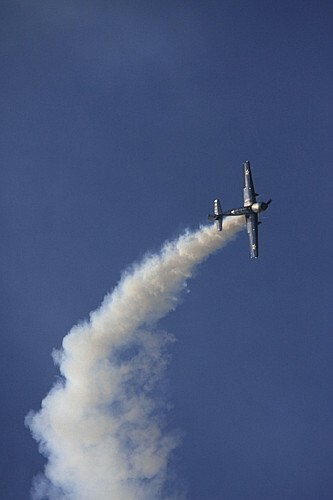 And it did it once again without trouble on Sunday. 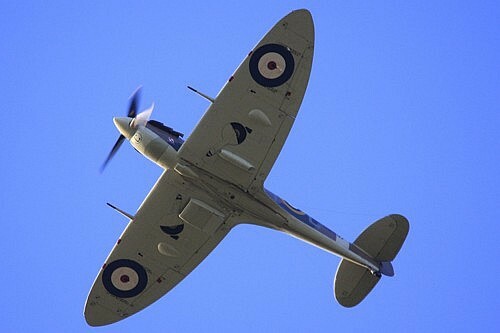 His bare metal livery is actually splendid in the sun. 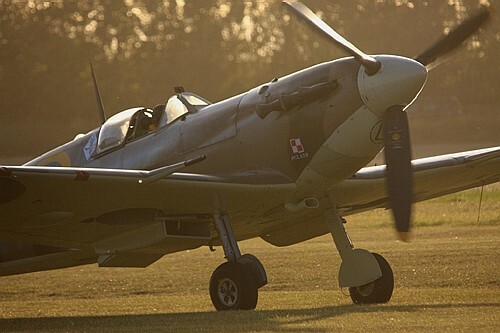 Another curiosity of this airfield hosted in Benifontaine : an amazing Spitfire flying replica wearing Polish markings. 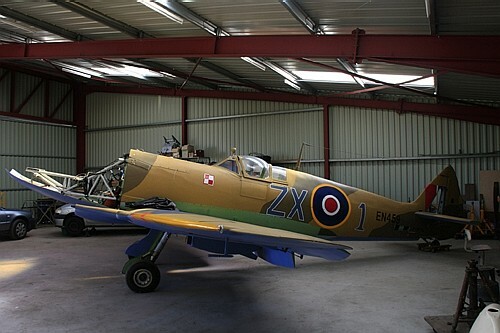 Another (actual) Spitfire came directly from Great-Britain, piloted by Charlie Brown. 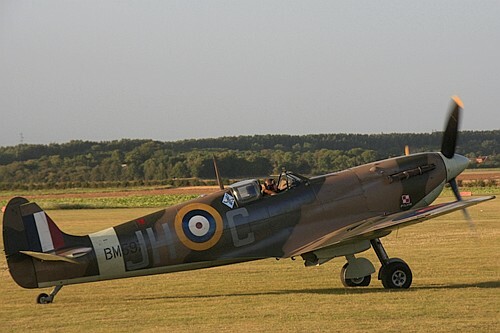 This plane is a Spitfire MK.Vb owned by Historic Aircraft Collection at Rye (Sussex) and based in the hangar 3 at the famous Duxford airfield. 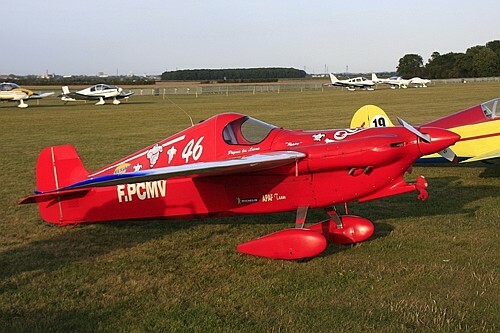 The civilian registration of this plane is G-MKVB (!) 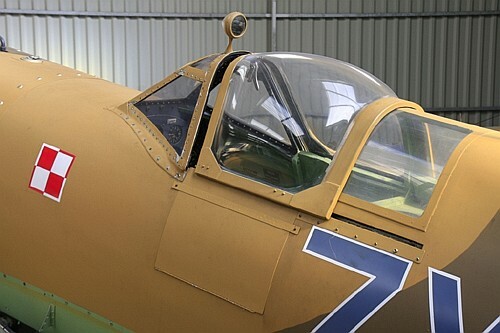 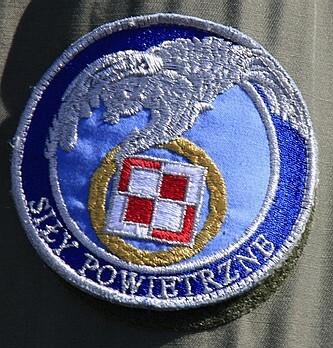 It wears the codes BM597 JH-C that are markings of the RAF 317 Squadron, precisely the unit where the Polish veteran Jerzy Glowczewski had served. 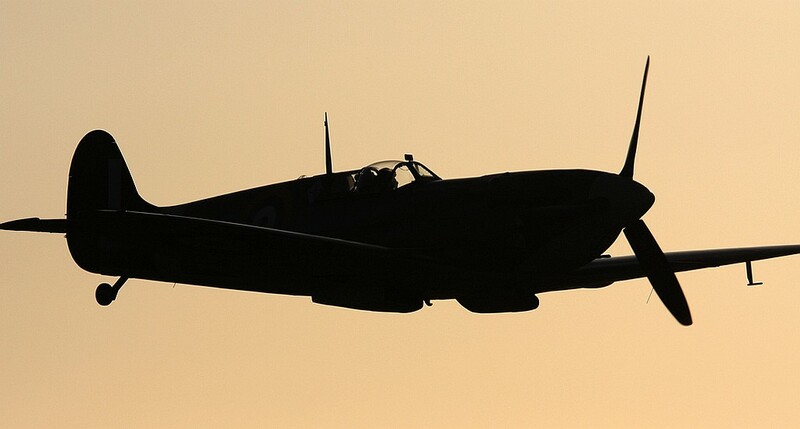 The Spitfire’s arrival on Saturday was wanted by all the air enthusiasts on the field and, at last, his majesty Spitfire landed in the sunset. 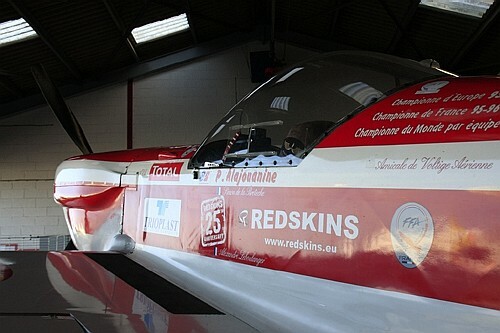 Last but not least, the Belgian Air Component was present in Lens with a SF-260M Marchetti ST-17 from Beauvechain in the static display. 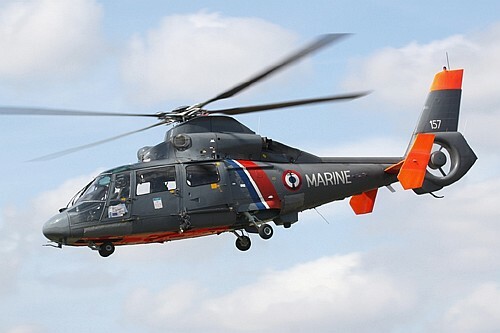 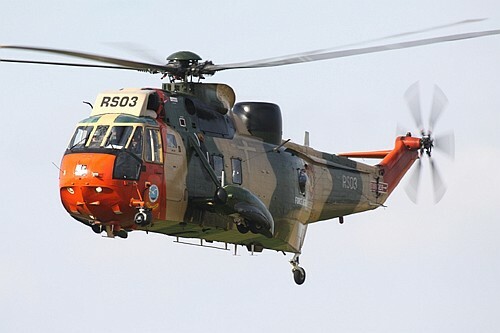 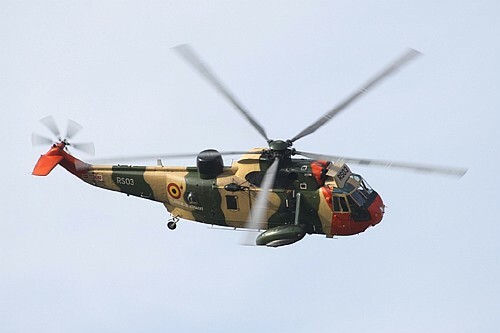 The Westland Sea King Mk48 RS-03 from the 40 SAR Squadron of Koksijde air base was displayed in flight on Sunday. 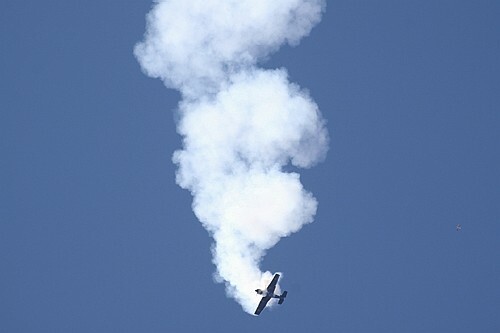 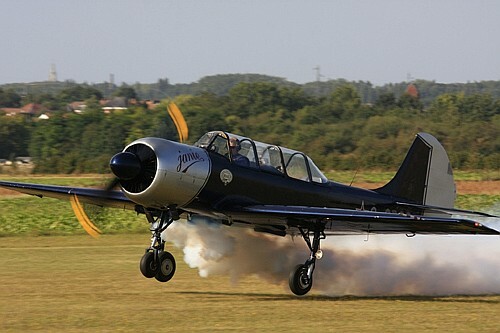 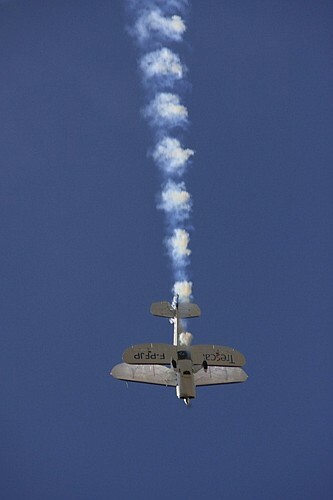 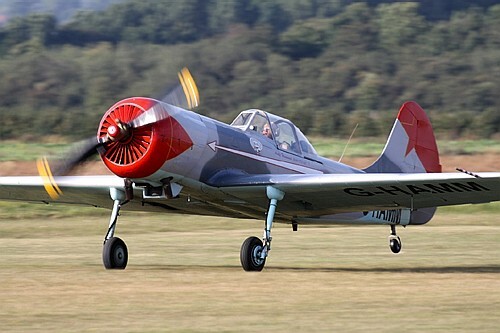 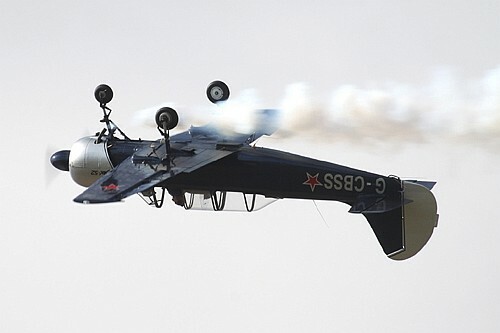 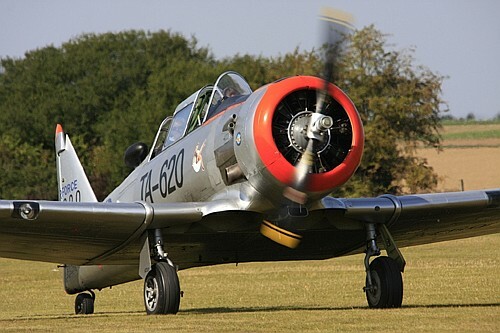 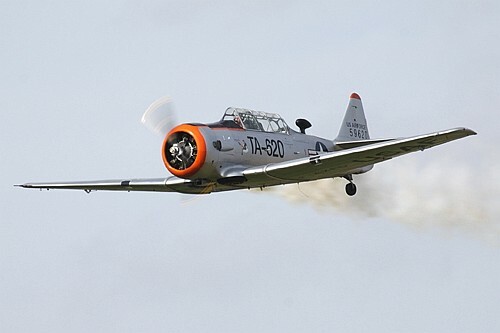 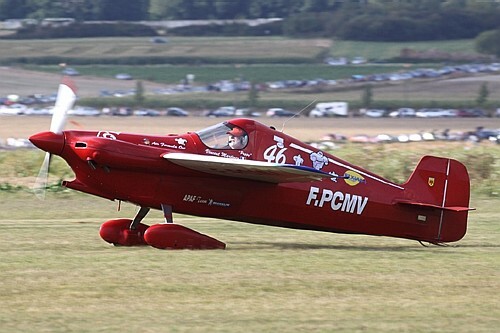 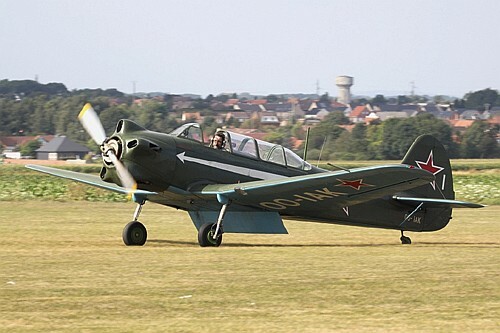 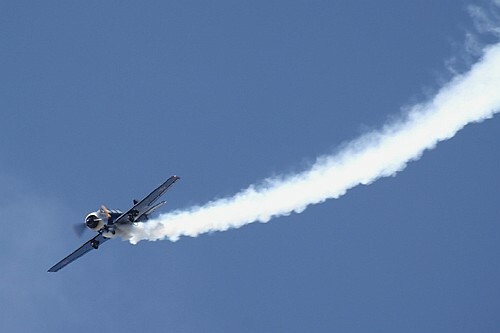 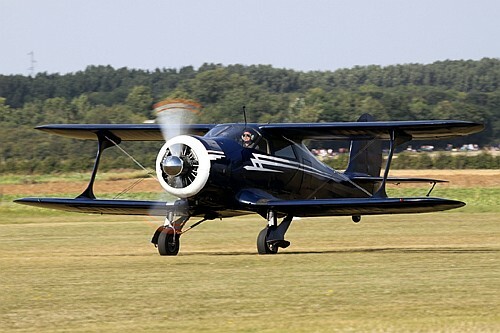 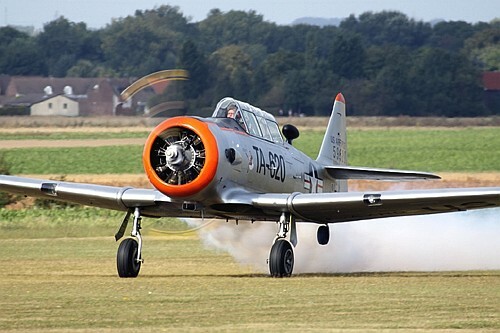 Etienne Verhellen also came with its dark blue Yak-52 to make a very poetic display underlined with white smoke. 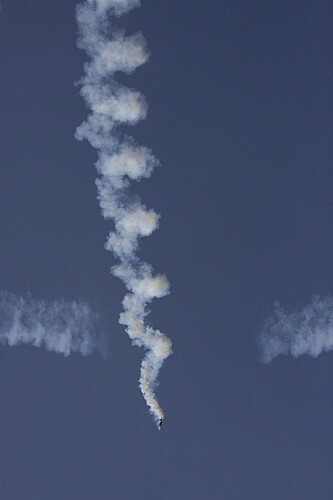 This Lens airshow 2012 was definitely a great airshow. 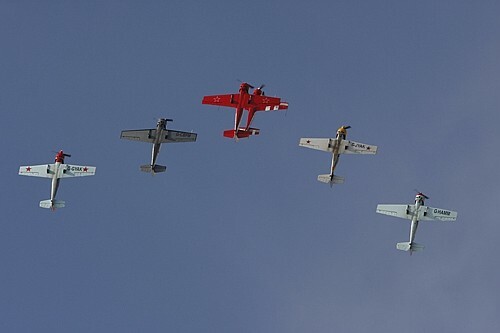 The organizers managed to gather a wide variety of planes from light and civilian aircraft to modern combat aircrafts and aerobatic teams. 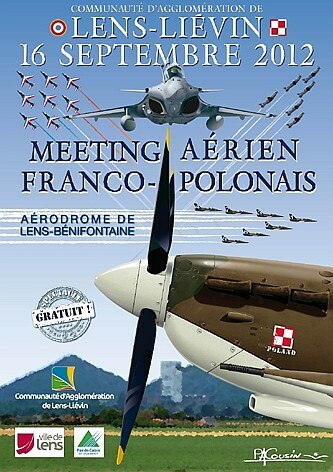 There were also other events about the French-Polish friendship, as well as exhibitions and static display of a Mirage 2000 and a Jaguar on the main place of the city. 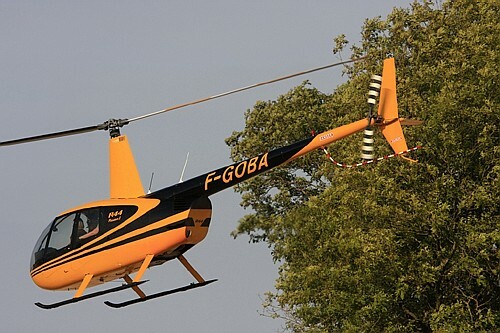 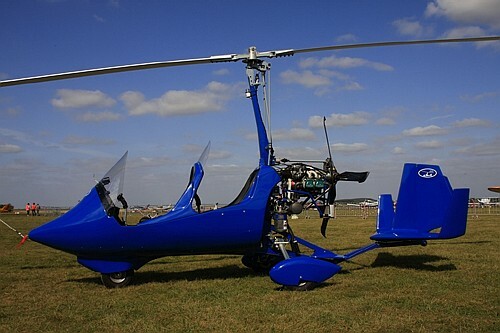 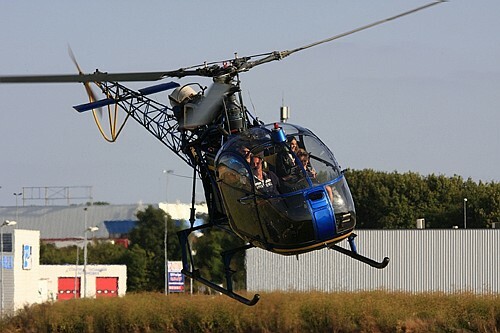 People and families had the opportunity to make flights in helicopter Robinson R44 or Lama. 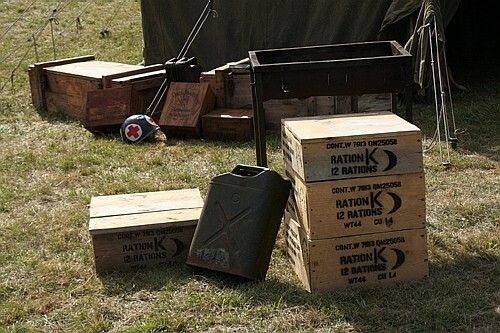 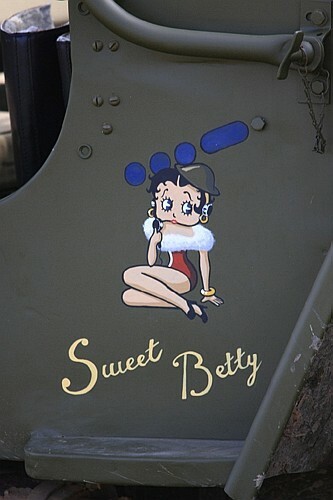 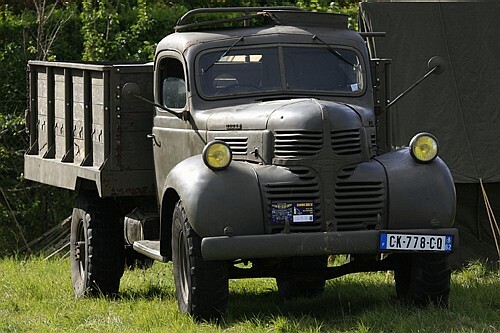 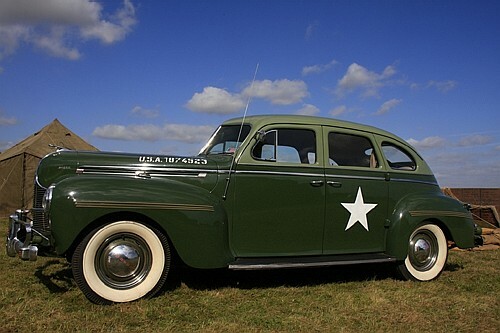 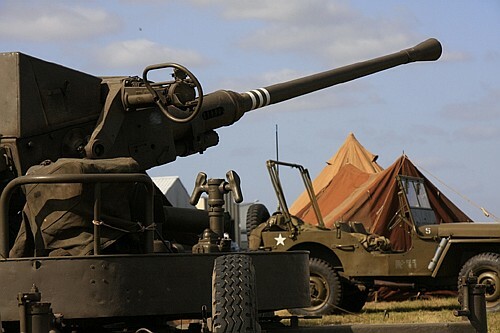 Some historical WWII vehicles were also gathered on the field with authentic Lorries, jeeps, gun or headquarters car. 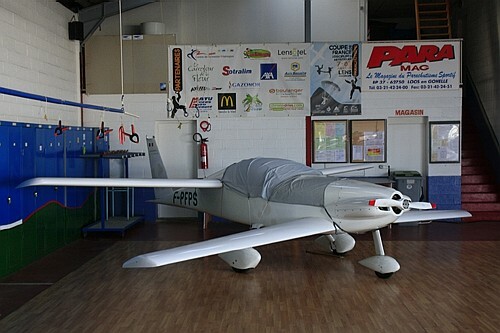 Such friendly atmosphere may really be considered as a magnificent success. 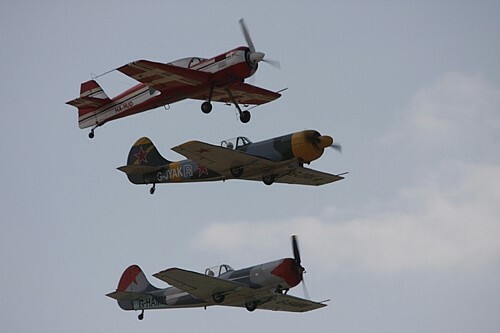 We want sincerely to thank Mr Regis Grebent and the whole team of organizers and the volunteers who made of this airshow a so beautiful day to be remembered.